Spares availability is the main strength of our unrivalled service. 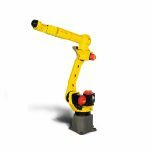 Short delivery times on FANUC parts from one of the largest independent distributor networks in Europe. Call us for FANUC parts & spares.